This cool barometer measures atmospheric pressure and makes a great decorative piece in any home or office. There are crystals inside the chamber that react to changes in atmospheric pressure and this reaction is what makes the storm glass useful for forecasting storms. There is an interesting back story behind the invention of this piece. It is often referred to as the "Captain's Friend" as it was invented and used by the Captain of the HMS Beagle. 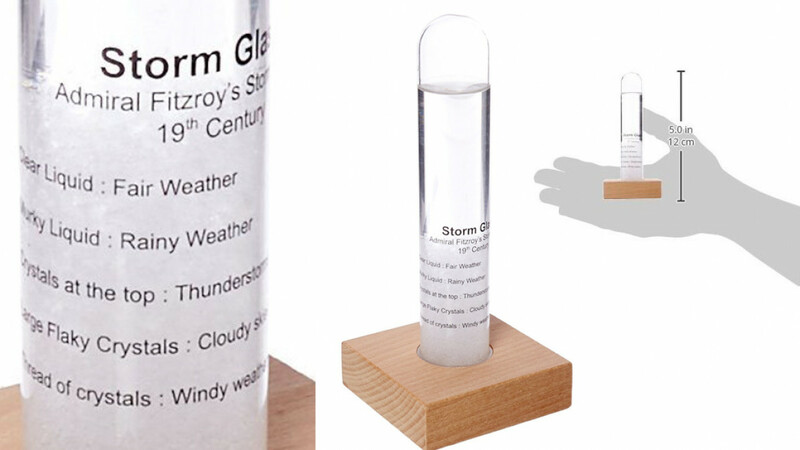 This is an updated version of the original storm glass and it is quite reliable as a forecasting system.